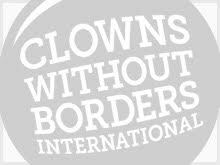 In 2010, Clowns Without Borders Spain went to Chile to provide entertainment for children living in areas most affected by the 2009 earthquake. They performed 16 shows for 3200 people. 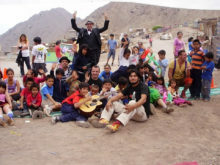 In 2010, Clowns Without Borders Spain went to Chile to provide entertainment and improve the psychological health of the children living in areas affected by the 2009 earthquake. They performed 14 shows for 2335 people.